Some games of poker will be remembered for a long time, and especially when the games are the important ones. One such important duel happened when John Cynn and Tony Miles were the only two remaining players who played the heads-up for as much as ten hours. After a ferocious battle, Cynn emerged a winner and won a total of $8.8 million – a prize for which 7,874 players competed in this tournament. This victory was a very significant one for Cynn, neither because he won a lot of money nor for the importance of the event itself. It is significant for him as he managed to prove himself that he could do it, after he had a disastrous defeat in 2016 Main Event when he ended up 11th, which meant that he was not able to enter the November Nine. After being asked how did he feel, Cynn answered that the first victory felt very different. He was humble enough to point out that the 11th place two years ago was a really great success for him and that it was literally insane what he had done this year. It was something that John Cynn was dreaming about for a long time. He admitted that he felt really overwhelmed with this victory. But everything is now great with Cynn who managed to earn $300,000 in the events that are not the Main Event. When the latest result is added to that, Cynn can be considered eligible to enter the poker history and maybe even Poker Hall of Fame one day. One thing is certain – he is going to decorate the Amazon Room for one year. $8.8 million is definitely a sum that will change his life forever. He stated that he overall did not think the money could make a person happy, but it was still going to make his life easier as he would not have to worry about things such as supporting his parents or his family. The 10-hour-long heads-up was the most suspense part of the tournament as none of the players was a favorite to win. They both had an equally enormous amount of chips upon entering the last part of the tournament and this was definitely a prologue for an epic battle between them. It was a game of skill and focus in the first hour, but then it turned into a game of endurance and will for the rest of the night. 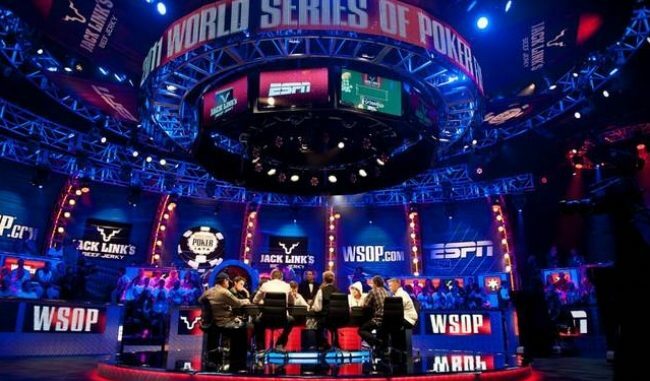 The heads-up is definitely now marked as the longest in the history of main events, as it has surpassed the record set by Vayo and Qui Nguyen in the WSOP Main Event in 2016. Unlike the boring match from 2016, this heads-up saw 11 chip-lead changed and a lot of action, which made it one of the most interesting head-ups ever to be played in the Main Event.